My cats *love* their new cactus scratching post! And the most tedious part of this project? Glueing on the rope! 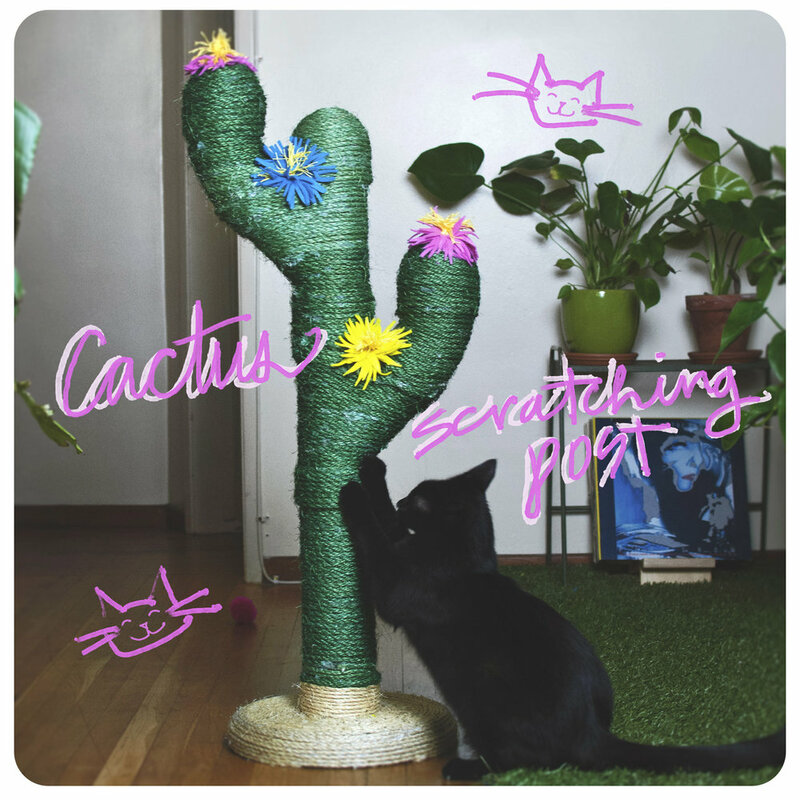 Do you know what kind of cactus this scratching post is designed after? I made the flowers using colored felt and yellow embroidery thread. I've seen other versions that use artificial flowers, but I liked the cartoonish & festive look. These are by no means an accurate representation of the Saguaro flowers... my handmade flowers actually look closer to the flowers of the Echinopsis cacti genus. Saguaro (Carnegiea gigantea) are probably the most famous of all the cacti, but you will only find them growing in one desert on the entire planet... The Sonoran Desert! Saguaros grow very slowly! A saguaro that is 1 inch tall could already be at least 10 years old. Saguaros need a lot of time to finally produce their first arms, at least 95 years! A saguaro cactus will only bloom once it's reached at least 70 years of maturity. The blooms come once a year, and each flower will only bloom for a night/half of a day. The flowers are usually pollinated by birds and bats, and if successful, the flowers will then produce fruit full of seeds! Digging up a saguaro is actually illegal; legal cactus harvesting requires licenses and permits. Cactus poaching is a real threat! Is little Pierre pollinating this flower! ?